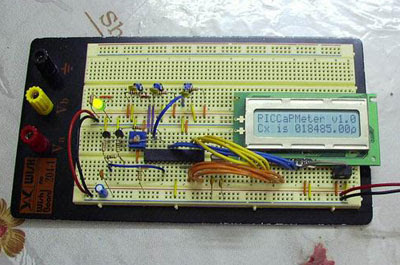 This electronic project is really powerful capacitance meter. This is an autoranged Capacitance Meter version, which means one does not need to adjust the range settings. Furthermore, the measuring range is quite large, from 5pF all the way to 2600uF. It is all taken care of by the PIC16F873A inside the circuit. It is based on a very simple circuit analysis principle of charging and discharging of capacitors in an RC circuit.